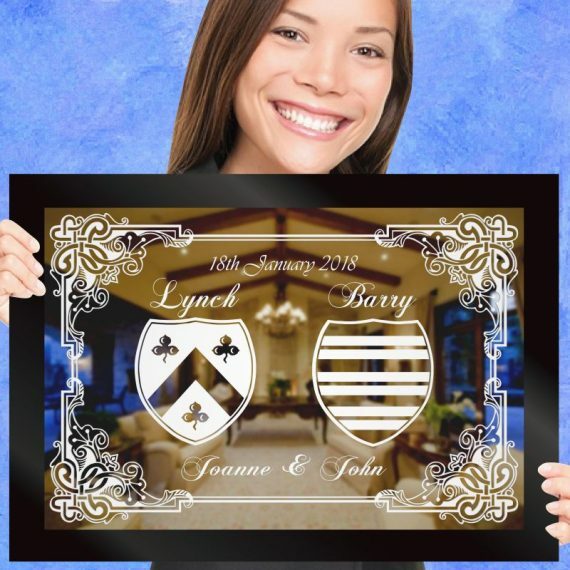 Coats Of Arms are heraldic designs awarded to families in ancient times. 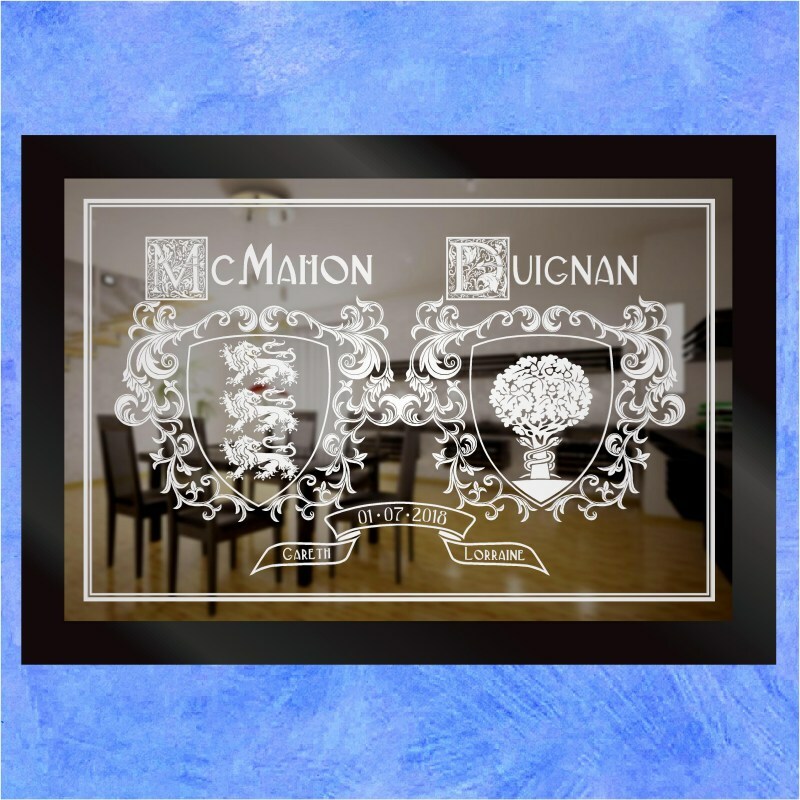 Also known as 'Family Crests' (particularly in Ireland), we are delighted to continue with the popular tradition of etching them on our gift mirrors to create unique wedding & anniversary gifts. 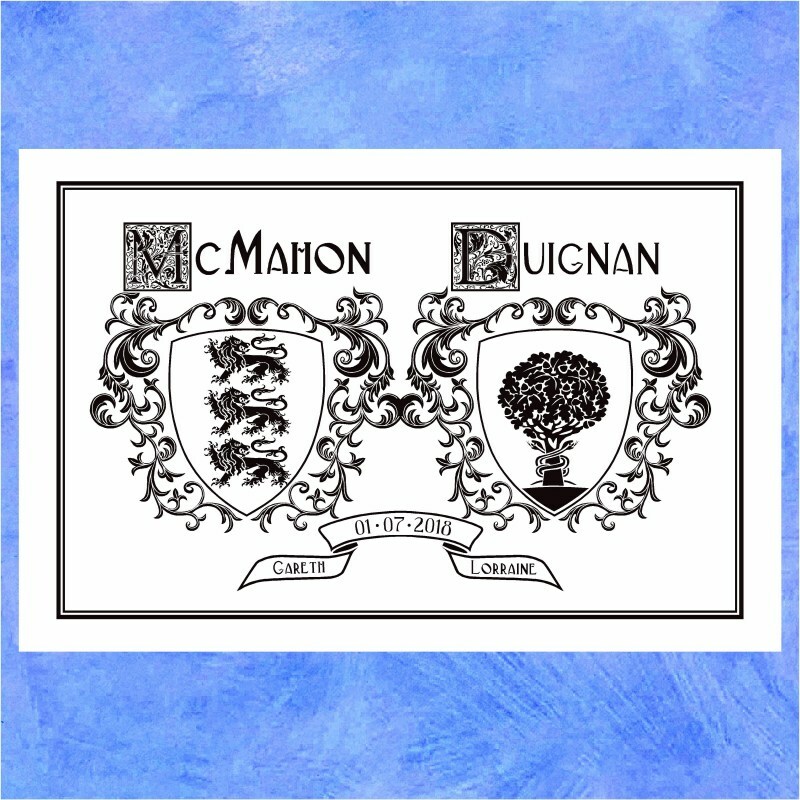 In some cases there can be two or more different Coats Of Arms available for the same family name, so by default we use the most popular version. 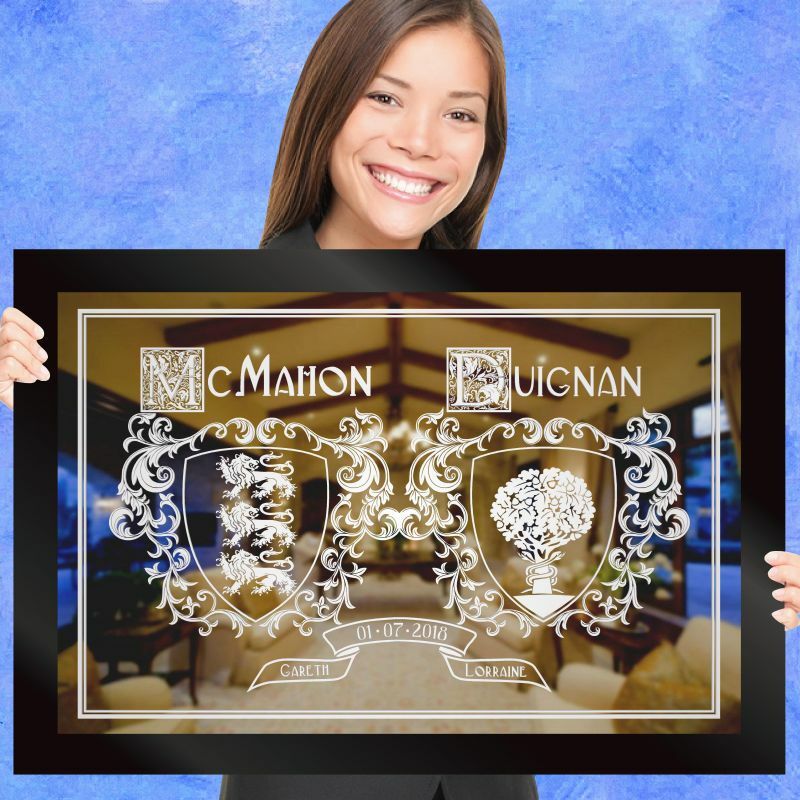 If you already have a preference for the version you would like us to use in the design of your gift, please add those details in the 'Any Special Instructions?' field of your order form. 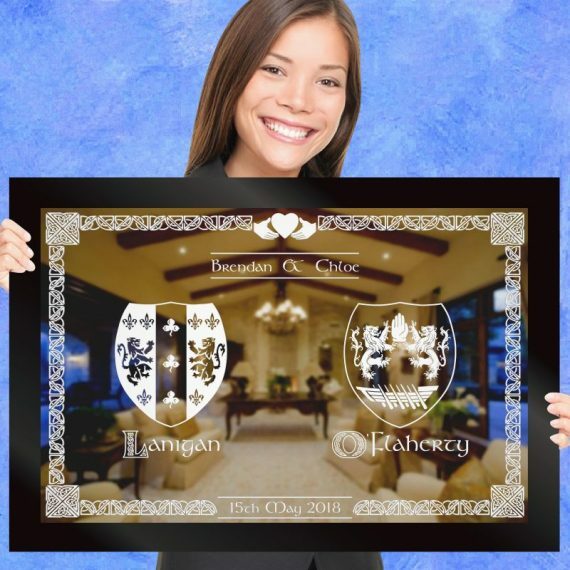 *You do not need to supply us with any images or descriptions of the coats of arms, just the country of origin (if you know it) and we will do the research! 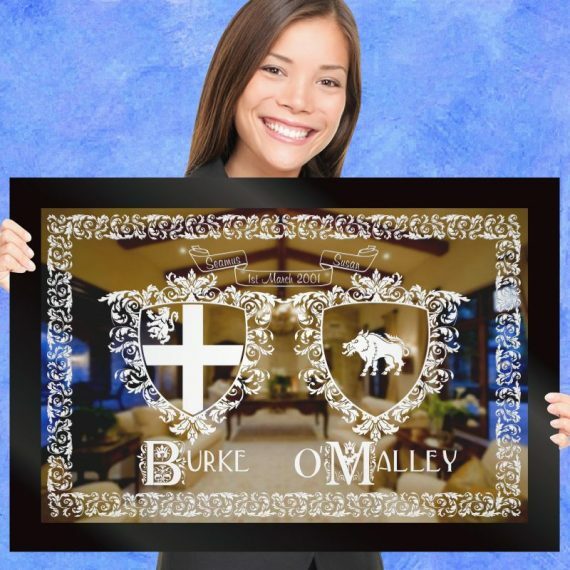 **Our designs incorporate only the shield, or central element, of a Coat Of Arms. We don't include a 'crest' or a 'motto' since these are often extremely difficult to source to precision. An intricate Celtic design blending a traditional knot-work surround with crisp, Gaelic lettering surround the family crests. Size:33"x23". 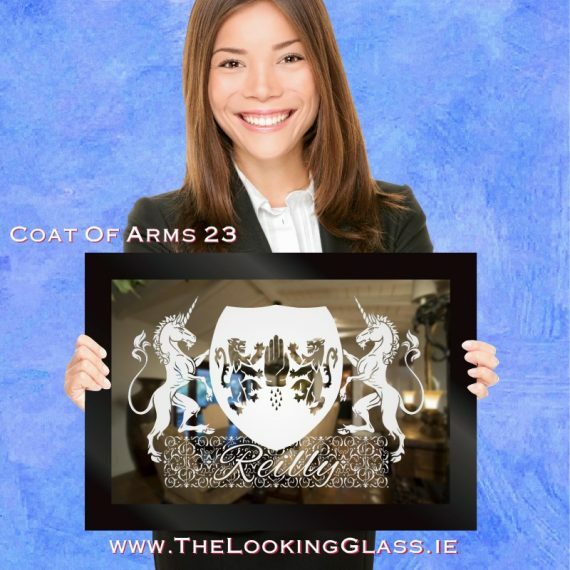 Your family coat of arms is complimented by a pair of mythical unicorns on this customisable etched mirror. Size: 20"x14"